My original title for this post: “A.A.’s Birthday.” I was shooting for catchy and mysterious, but another A.A. has bested Anna in terms of instant recognition. Still, this day is to be remembered if only because Akhmatova herself should not be forgotten. Akhmatova’s work was revolutionary in its time, “composed of short fragments of simple speech that do not form a logical coherent pattern. Instead, they reflect the way we actually think, the links between the images are emotional, and simple everyday objects are charged with psychological associations. 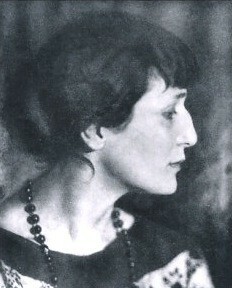 Like Alexander Pushkin, who was her model in many ways, Akhmatova was intent on conveying worlds of meaning through precise details” (Roberta Reeder). The following poem was written in March of 1944 and is part of a larger sequence entitled “Death.” It exemplifies Akhmatova’s attention to detail and scene-setting, and like the best of literature, is universal, by nature of its specificity. Here loneliness has caught me in its net. And the double in the mirror doesn’t want to help me. I will sleep sweetly. Good night, night. 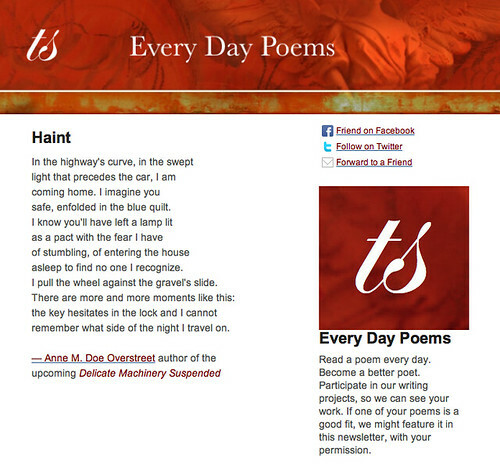 Post by Jennifer Jantz Estes. Reprinted with permission from Eighth Day Books. Ever since I first read this, Jennifer, I’ve been fascinated by Anna. I even have a few poems about her, since I somehow relate to her image-driven sensibilities.